Spring cleaning is only as efficient as the cleaning equipment and supplies you use. We recommend using disinfectant sprays that kill harmful germs, fungi, and bacteria because these products also prevent mold and mildew growth. When vacuuming a room, use a vacuum cleaner that has a HEPA filter. These types will capture smaller allergens, while some other types of vacuums won’t. Also, focus on the bathroom and kitchen when spring cleaning because mold and mildew thrive in moist areas with standing water and heavy humidity. Investing in a dehumidifier for your home is highly recommended because mold spores and mildew thrive on moisture and humidity. Dehumidifiers reduce the humidity in a living space, making the environment more comfortable and easier to breathe in. Additionally, dehumidifiers are capable of eliminating musty odors from an area. While you’re out purchasing a dehumidifier, don’t forget to invest in an air purifier as well. Air purifiers, also known as air cleaners, remove air contaminants such as pollen, pet dander, dust, smoke, and mold spores from a living environment. Air purifiers are particularly great for allergy sufferers and those with asthma, but literally everyone can benefit from breathing easier after purchasing an air-cleaning system such as an air purifier. To start breathing a little easier today, check out Reviews.com’s resource on the best air purifiers on the market. This obviously isn’t something you can do in a weekend, but homeowners with allergies should seriously consider opting for hardwood floors over carpets because just about every allergen imaginable accumulates in carpet fibers. In fact, every time you walk across a carpet, irritants like dust, pollen, and pet dander are re-released into your living environment, decreasing the indoor air quality of your home. Hardwood floors not only significantly reduce indoor allergens, they’re also easier to clean. 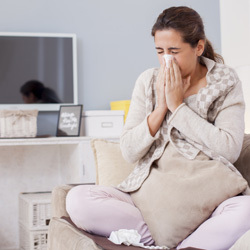 Allergens like dust, pollen, and mold spores are present everywhere in the environment but unfortunately for homeowners, they find their way into our living spaces as well. Placing doormats at all entrances of your home as well as having guests remove their shoes before entering your property can both significantly reduce outdoor allergens being tracked inside. And for the allergens that do get in, clean your home or apartment at least once a week. Think You May have Mold? Get a Mold Test! Sometimes, mold is hard to get rid of or can be hidden in hard-to-reach areas of your home like attic insulation and behind basement walls. 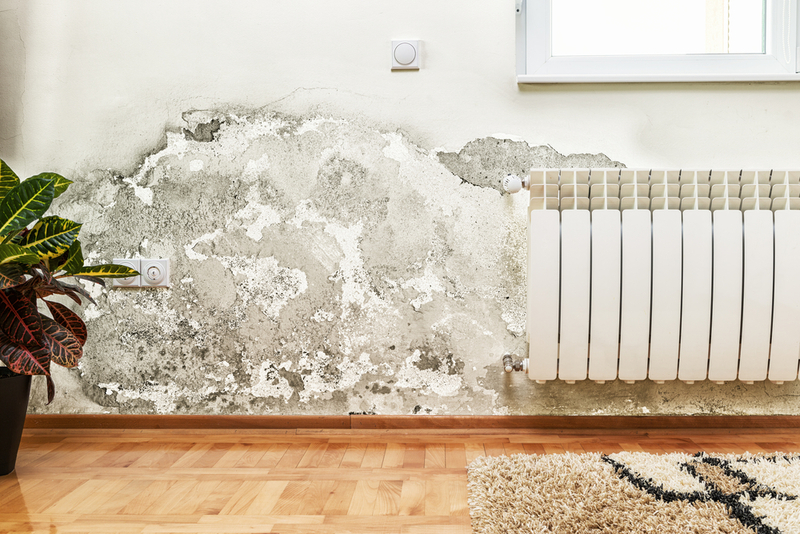 If you find that you still have traces of mold or mildew, or if you smell a foul, moldy odor inside your home even after spring cleaning, call our mold removal specialists at 911 Restoration right away for a FREE visual mold inspection!